I have already done more trips this month than I managed in the previous two put together so I'm pleased to say I've got a bit more to report this time around. 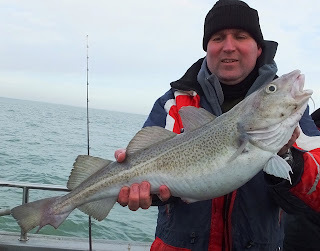 It is usually around this time of year I do the first trips out to the offshore banks to fish for spur dogs and blonde rays but due to the inshore fishing being so good I've only pushed off for a couple of half days so far. Both times have produced good size spurs to 18lb and blonde rays up to 27lb along with the usual huss congers and whiting. Dirty squid seems to be working wonders for the spurs. As January pushes on I'll start to do more full days out there to see if we can make it 3 years in a row with a British Record beating fish, always released after a quick photo. 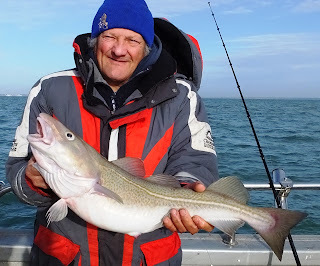 As I mentioned inshore the fishing has been brilliant, possibly due to the lack on days float in December. 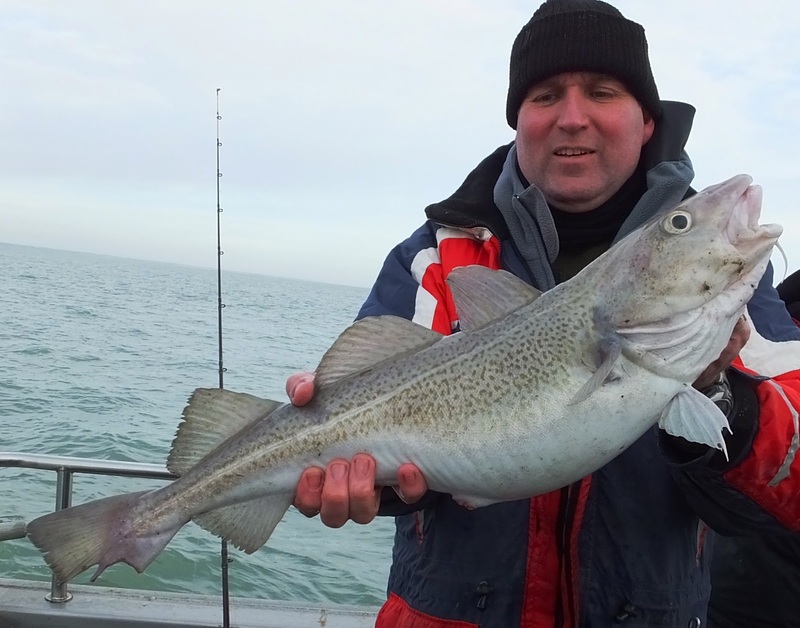 Good numbers of cod are still appearing along with plenty of congers and whiting. We had the first 2 bass of the year a couple weeks ago at 9lb and 10lb 4oz, both taking squid and cuttlefish combination baits during the tide. The ray fishing inshore has been prolific with all 5 species coming in on the same day on some marks, not all monsters but good fun none the less.